This week, Bloom had the opportunity to speak with Scott J. Tarde, L.N.H.A. – Chief Executive Officer of the George G. Glenner Alzheimer’s Family Centers, Inc. ® in San Diego, to learn more about their model of care for older adults. The Glenner Centers is a 35-year-old non-profit founded in 1982 by Dr. George G. Glenner and his wife, Joy. Dr. Glenner was a research pathologist at the University of California San Diego, and is world-renowned for his research and isolation of the beta-amyloid protein, which is considered the hallmark of Alzheimer’s disease. Dr. Glenner carried his work over to caring for older adults who had been diagnosed with Alzheimer’s and providing their families and caregivers with affordable respite in San Diego County through adult day services. What sparked your interest most in working with Glenner Centers? Prior to my role as Chief Executive Officer, I spent three years on the Board of Directors. I was drawn to the ability to provide affordable dementia specific support services to families and give them an opportunity to have respite care. Family caregivers are often the silent victims in so many diseases, including Alzheimer’s disease, and they deserve the opportunity to take care of themselves. Adult day services allows for an option that does not involve moving into a community if they are not ready to make that decision or unable to afford such services. 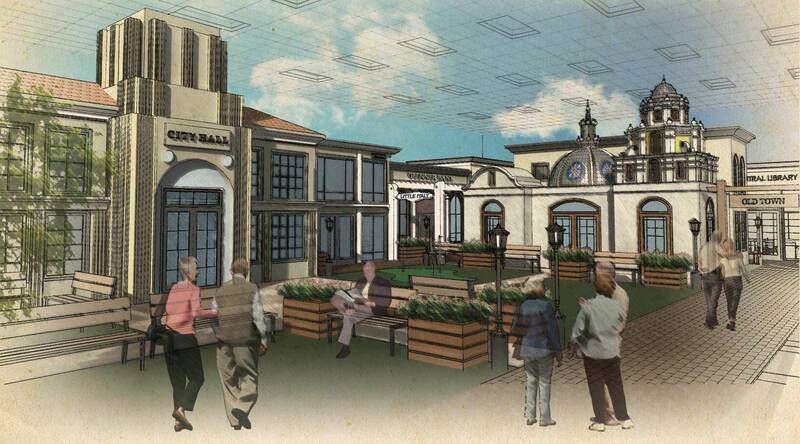 We heard you are going to be opening Glenner Town Square. Can you tell us more about that? Town Square is a replicated 1950’s-1960’s era city inside of the Glenner Center building. Town Square is designed on the premise that people’s strongest memories are created between the ages 18-35, which independent research has shown is because our most significant life events happen during this time including graduation, going to college, starting a new job, and having kids. If you can take older adults back into that period, it gives them an opportunity to have reduced agitation, improved mood, and improved sleep quality, which is very important for the overall health of the individual. Glenner Town Square has partnered with the San Diego Opera Scenic Studio, and worked to create replica storefronts symbolic of urban life with a fully functioning theatre, 50’s style diner, a museum, library, and other structured activities participants can engage in to bring value to their day. Can you tell us more about Reminiscence Therapy? Reminiscence Therapy (RT) is surrounding participants with tangible prompts from their past, taken in the form of physical elements, old photographs, music, and creating fully immersive storefronts. Nothing about the storefronts lack depth, and you can walk into every storefront and interact as you would in any other store. That is what is so powerful about Town Square and utilizing Reminiscence Therapy. Are you finding there is a greater shift in the industry to provide resident-driven, sensory experiences when caring with older adults? We are certainly trying to drive in that direction. I’d like to see more focus on the recreational component of people’s lives, as Alzheimer’s care is not simply a housing model. We recognize not everyone can care for their loved ones due to high acuity or availability, or when home care or AL is not an option, so we have provided what we believe is an international model for additional options to provide older adults with more choices when developing their plan of care. What is the best way you have found to connect with and educate adult children about your services? I am most proud of the support groups we offer in all of our Centers. The support groups give family members the opportunity to come in for support services free of charge, and oftentimes they bring their loved ones, as it is the only time they are receiving any kind of respite. Family members get exposed to other individuals who are also caring for someone with Alzheimer’s and come to understand that it is okay to reach out for resources and to ask for help. In support groups, you give people permission through their peers to ask for help, and it gives them an opportunity to share their experience through that process. Glenner Centers pride itself in showing families what their options are, and allowing them to make decisions based on what is best for themselves and their loved ones. If you could go back in time and have dinner with one person, who would it be, and why? If I could go back in time I would have dinner with Dr. Glenner. I never had the opportunity to meet him as he passed away in 1995, but he is a man who I have learned a lot about. Dr. Glenner was a brilliant research pathologist, but also able to recognize the need for support services and respite for caregivers. One of his most popular quotes is, “It is time to start taking care of the living,” and this is exactly what he did. Dr. Glenner was so focused on the answer to this disease; he dedicated his life to researching it. I find that incredibly inspiring and would want to learn more about what drove that inspiration. I would have loved to have that opportunity. Interested in learning more about Glenner Town Square? Interested in being featured on our blog?